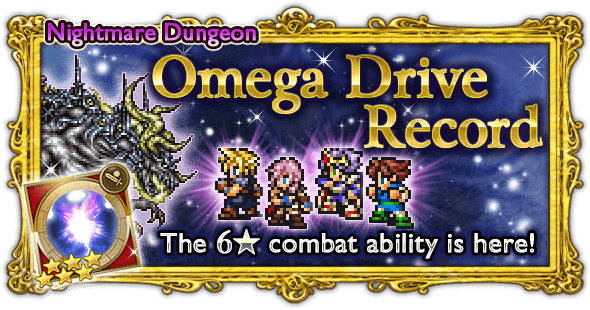 Omega Drive is a 6* Combat ability. It is a 4-hit physical attack, and its multiplier increases with user’s ATK. Defeat Iron Giant without being KO’d. Exploit Iron Giant’s weakness to lightning attacks. Do not use Black Magic on Iron Giant. Defeat Porphyrion without being KO’d. Do not use Black Magic on Atlas. Do not use Summon magic on Atlas. Do not use Black Magic on BFA. Do not use Summon magic on BFA. 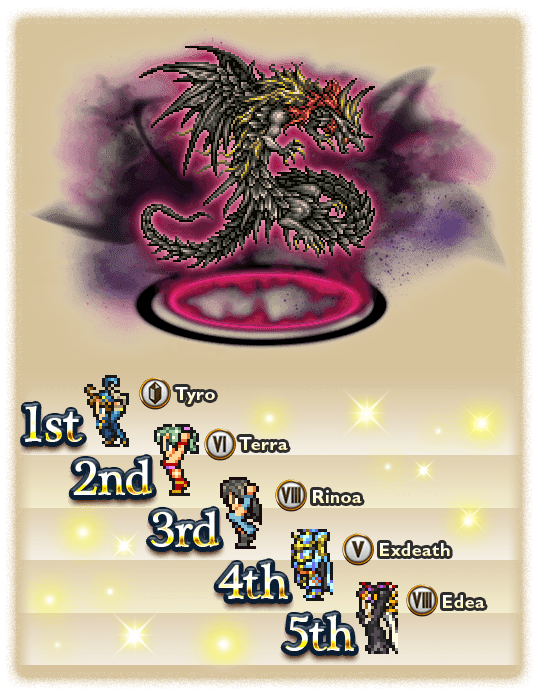 Defeat Omega Weapon before he uses Nightmare Omega Drive. Do not use Black Magic. 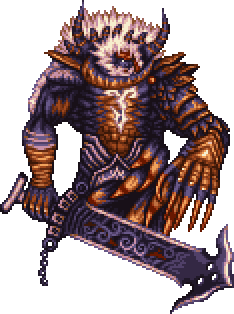 Most of his attacks ignore RES buffs. This means that native RES will reduce damage taken. Make sure you equip your characters with high RES armor! 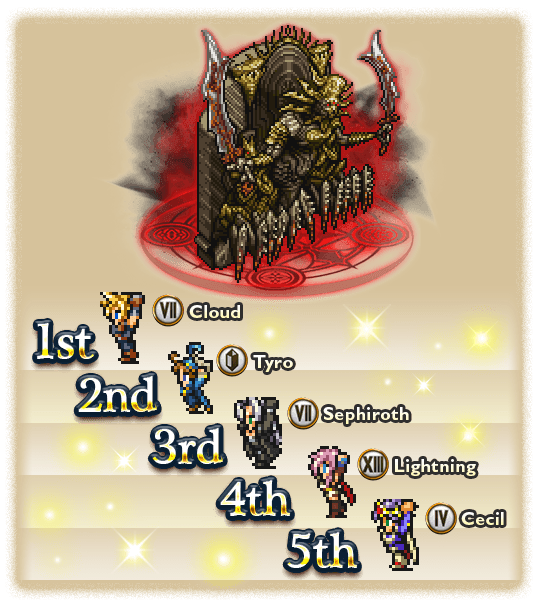 The battle against Omega Weapon (Nightmare) has three Phases in total. Unlike most Nightmares, Omega Weapon’s HP is NOT shared between the phases. Killing Omega Weapon in any phase begins the next, until it is finally killed for good in Phase 3. 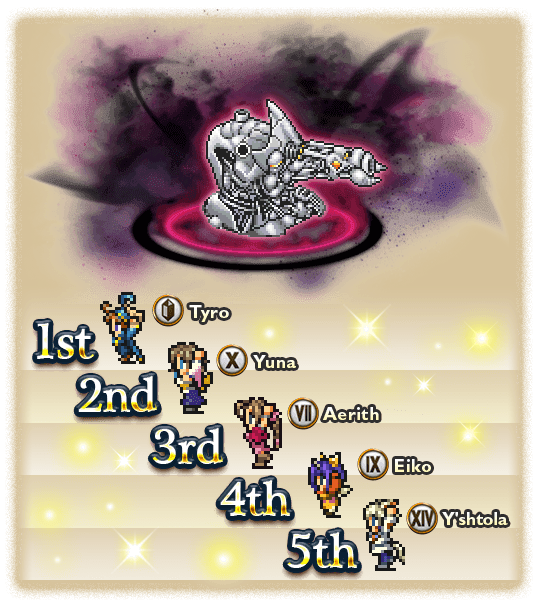 Phase 1 ends when Omega Weapon is killed. 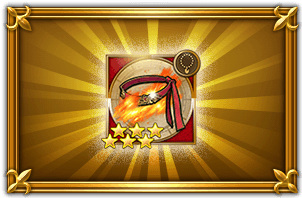 Omega Weapon will use Vengeance (NAT: AoE – 100% chance of curing Haste/Protect/Shell/Reflect/Regen/Triple/[Stat Buff Statuses]) as a final attack immediately before it dies. When Phase 2 begins, Omega Weapon will revive into its Phase 2 Form with an empty ATB, and two Mana Spheres will appear; one above Omega Weapon, and the other below. Mana Spheres can be one of two different colors: Red and Green. At the start of Phase 2, the top Mana Sphere will be assigned a random color, and the bottom Mana Sphere will be the opposite color — that means there will be one Red Sphere and one Green Sphere, but their location will be randomized. 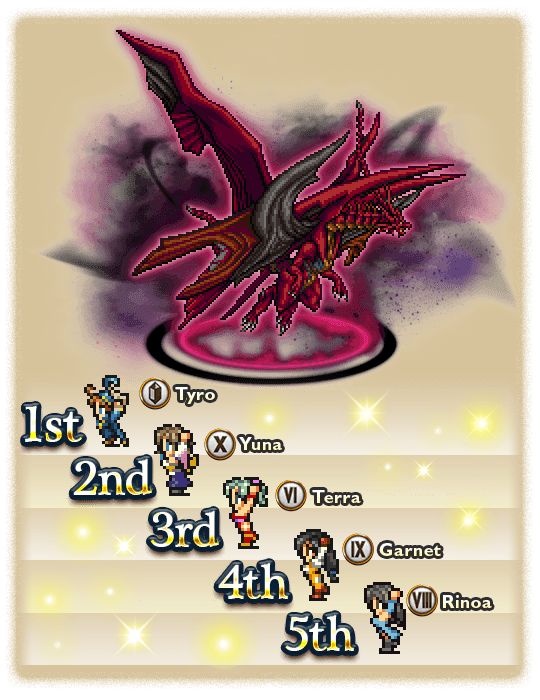 The Red Sphere’s Self-destruct will target the party member that attacked it, and the Green Sphere’s Healing Counter will heal Omega Weapon for however much damage the sphere took from the attack. 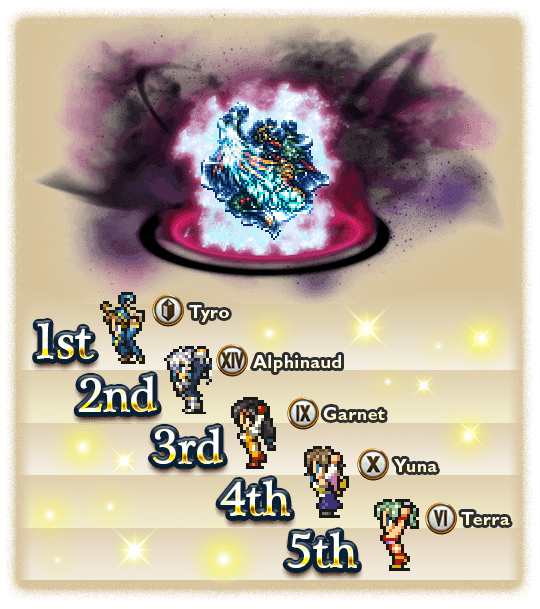 The strongest versions of the reward abilities occur when a Mana Sphere is destroyed by using one ability each from both party members in the Safe Positions. Given the above, this gives you a hard limit of approximately 63.35 seconds before the 10th sphere is consumed (assuming all previous spheres live as long as possible). Killing a Mana Sphere long before it would be consumed will greatly reduce this time. 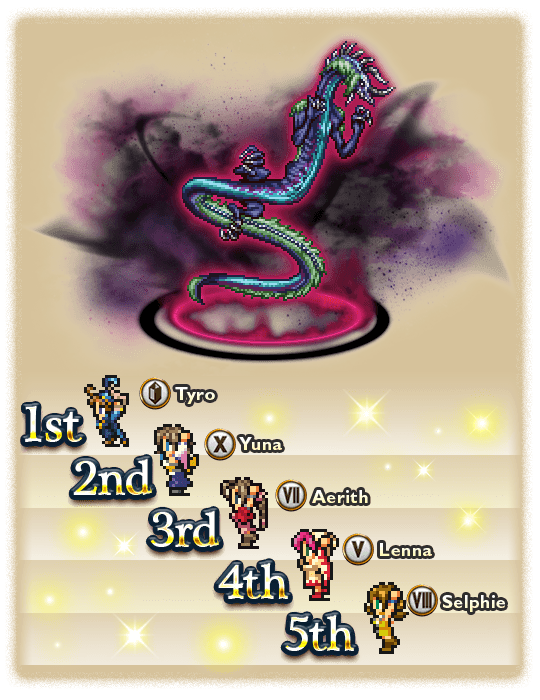 Phase 2 ends when Omega Weapon is killed. 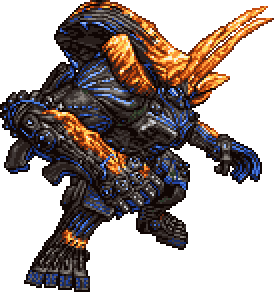 Omega Weapon will use Vengeance (NAT: AoE – 100% chance of curing Haste/Protect/Shell/Reflect/Regen/Triple/[Stat Buff Statuses]) as a final attack immediately before it dies. 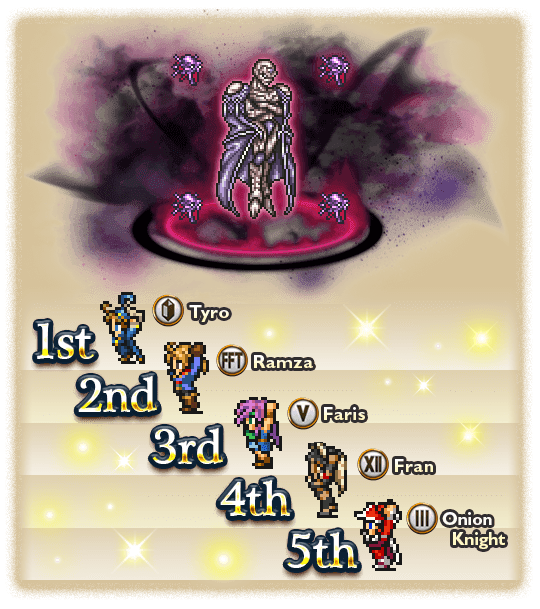 Mana Spheres will do nothing each turn (with no cast time). On a Mana Sphere’s 4th turn, it will be consumed by Omega Weapon who will use either Nightmare Omega Drive (if the sphere was Red) or Absorb (if the sphere was Green) as an instant action. If a Mana Sphere is damaged but not killed by a party member who is not in one of the two Safe Positions directly in front of the sphere, then the sphere will instantly react with a penalty ability. Red Spheres will use Self-destruct on their attacker (dying in the process), while Green Spheres will use Healing Counter on Omega Weapon. 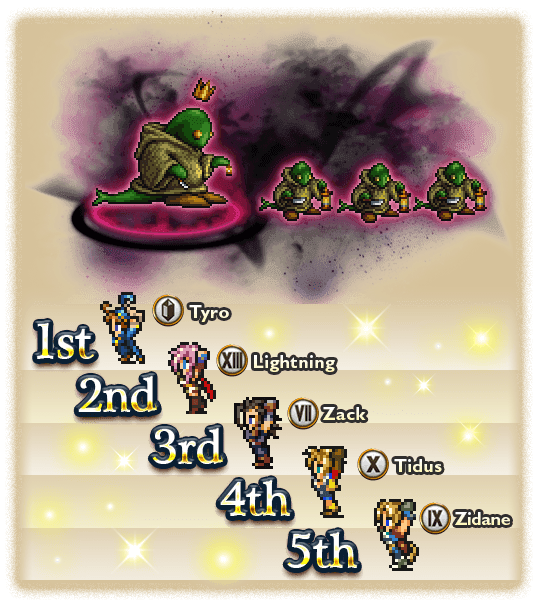 If a Mana Sphere is killed by a party member standing in one of the two Safe Positions, then the sphere will react with a reward ability before it dies. 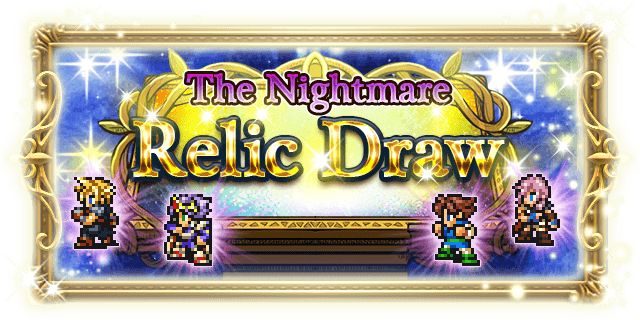 Red Spheres will use Focused Counter on Omega Weapon, while Green Spheres will use Disperse Healing Charges on the party. 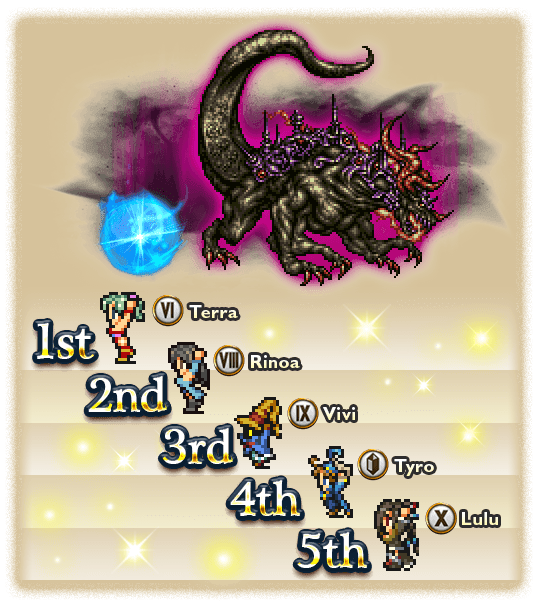 The strength of these reward abilities depend on how many party members damaged the sphere and how many damaging abilities it took to kill the sphere. When a Mana Sphere is consumed or destroyed, a new Mana Sphere of the opposite color will spawn. 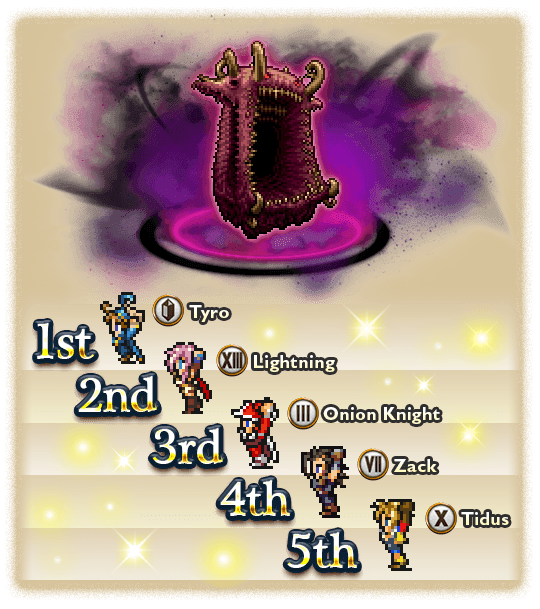 When the 10th Mana Sphere is destroyed, no further Mana Spheres will appear, and Omega Weapon will use Nightmare Omega Drive as an instant action. 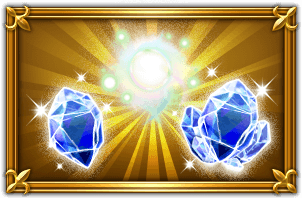 When Phase 3 begins, any remaining Mana Spheres will vanish. Omega Weapon will revive one last time into its Phase 3 Form, starting with an empty ATB.